First off, we’re psyched to have our radio tower back up and running at full blast. It took a little time, but you might notice our signal is much clearer as you navigate the Seacoast’s less crammed streets. 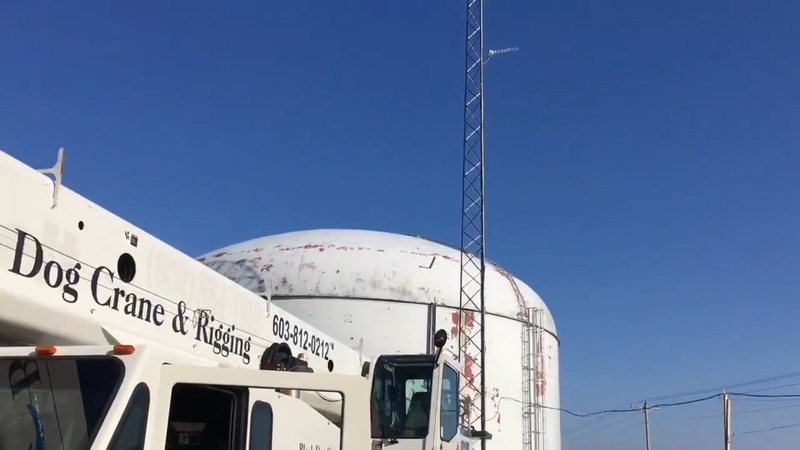 A big shout out goes to Black Dog Crane & Rigging for helping us get our signal back to full strength! These kinds of necessary fixes are not cheap, and that’s why we’re grateful to the generous donations of our member and community. 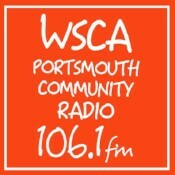 If you’d like to help, or you’re not yet a member and would like to join or donate to Portsmouth Community Radio, we have a number of options worth checking out. We’re also coming off the heels of consecutive nights of fantastic live music on the Button Factory Stage. Of course, last Thursday featured more, great live improvisation for The Button Factory Jazz Series. Coming this Thursday the 13th, Richie Smith takes the stage, followed by the John Funkhouser Quartet Sept. 20 and then the Matt Langley Group Thursday Sept. 27. As always, we ask for an $8-10 donation, most of which goes directly to the artists! 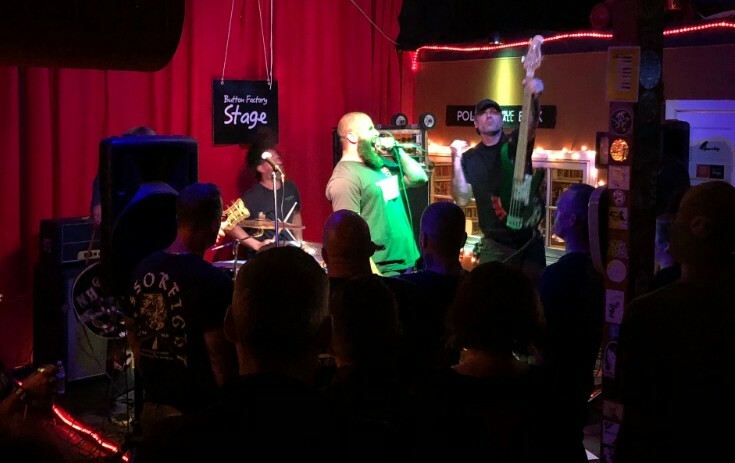 Last Friday, we cranked the volume up to 11 as metal heroes Scissorfight took to the Button Factory Stage. They were joined by new local group Wizardess. It was a great night of power chords, for sure. Thanks to all who helped out!  Click here for tickets. For more details about what’s on tap for the Button Factory Stage, our website now features a calendar of upcoming events. Since we’re leaving the sultry summer days behind, we’re also bringing back Record Listening Night. 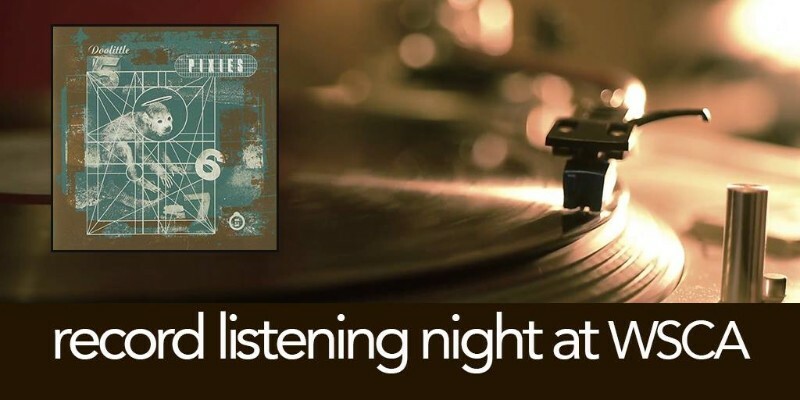 This Wednesday, September 12th join a crew a fellow music lovers for an evening listening to the Pixies’ seminal album Doolittle. Curated by Jeff Stern, the fun starts at 6:30. A $5 donation is suggested. It’s a great way to hear music the way it was meant to be heard with other music nerds. 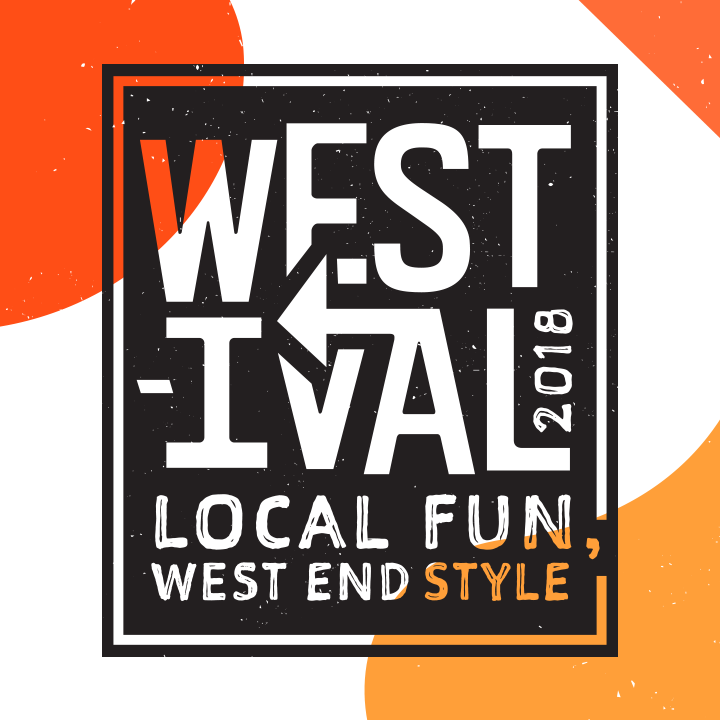 Are You Ready for Westival? Join WSCA Radio at Westival on Saturday, September 29th from 11 a.m. to 3 p.m.. We’ll have a table and we hope to see you there! Many West End businesses and restaurants are helping make this year’s event bigger and better than ever! The West End is the best end – get ready to see why! More info here. Jason Landry is an arts and music professional with experience in higher education, the non-profit sector, and as an entrepreneur. He’s the former owner of Panopticon Gallery in Boston, Massachusetts and was the founding director of the MFA in Photography program at the New Hampshire Institute of Art in Manchester, NH. Jason has also worked in various capacities at the Photographic Resource Center at Boston University and spent time on two Boards of Directors. 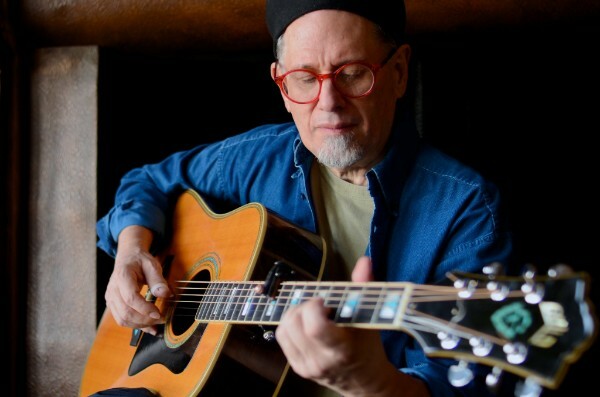 When he’s not at the station spinning tunes during his Blues Power show or helping us find underwriters, you can find him at his current business venture––Booches Custom Guitars. Born in Massachusetts and grew up in Portsmouth and Greenland, NH, he received a B.F.A. in Photography from the Massachusetts College of Art & Design, an M.F.A. in Visual Arts from Lesley University College of Art & Design, and a Advanced Professional Certificate from Berklee College of Music. 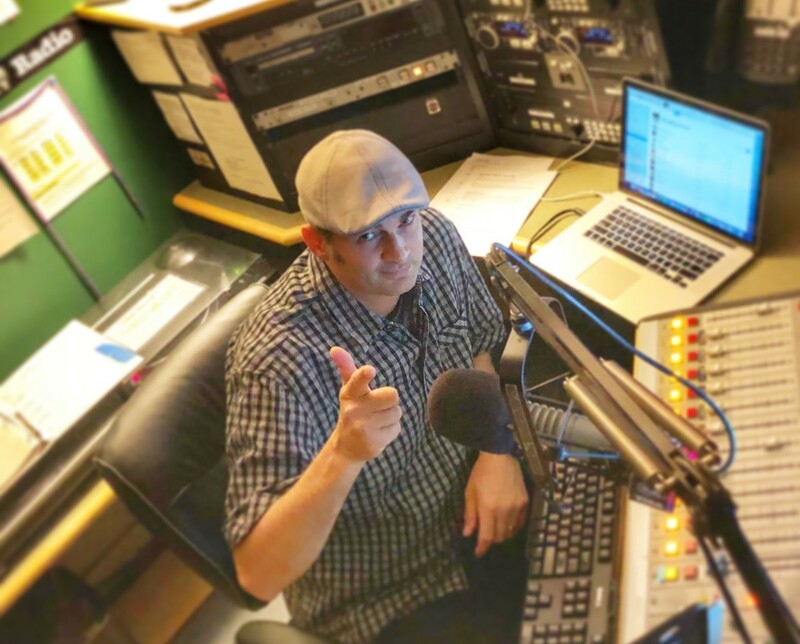 Please welcome Jason to WSCA Radio! 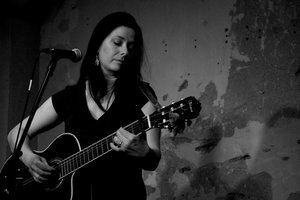 Of course, we won’t just feature great live music here at Portsmouth Community Radio. Sept. means we’re in new music season. Have you seen our weekly Top 30 list? It’s a killer compilation of what’s new and good. In addition to many of our long-time DJs, we have lots of new shows coming in – there’s something for everyone with our programming! Want to learn more? We’ve updated our programming schedule to showcase our diverse and creative programming, from shows new and old! 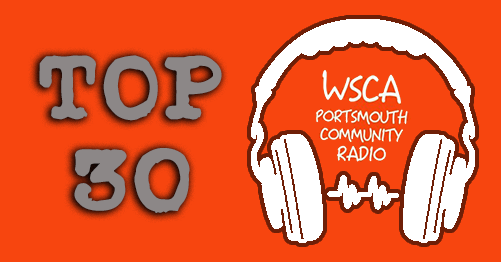 Each Monday, WSCA‘s music director Megan Campbell posts the latest top 30 albums at WSCA and reports our playlist and new adds to the North American College and Community Radio Chart. It’s a great way to explore new & interesting music not found on your everyday commercial radio station. This week’s number one is Mitski’s Be the Cowboy. 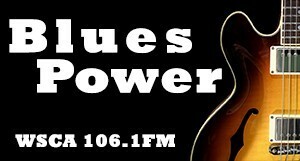 Listen to Blues Power with Jason Landry every Saturday afternoon from 12 to 2 p.m. 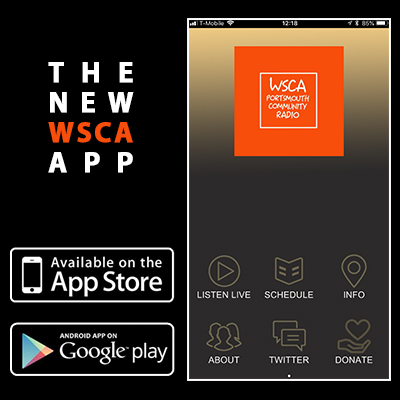 Hear new and old blues, Texas blues, acoustic and electric blues, and so much more every Saturday afternoon on WSCA Radio. Finally, we’re always looking for new volunteers to help with our events and keep things running smoothly day to day. 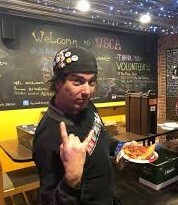 Volunteering at WSCA is fun, and you’ll meet some great people. Learn more here.